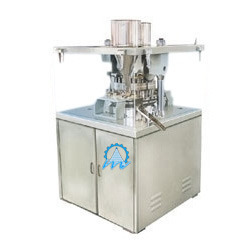 Our range of products include tablet press machine, single side rotary tableting machine, tablet press coating equipment, lab press, tablet lab press for pharmaceutical and tableting machine. 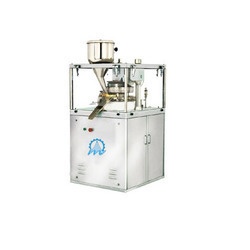 With rich industry experience, we are manufacturing, exporting and supplying a wide collection of Tablet Press Metal Extractor that are specially designed to meet the requirements of demanding consumers and stringent legislation by providing highly accurate metal detection. These can be used in both class leading and online metal detection. Single Side Rotary Tableting Machine proffered by us is designed and developed as per the modern technology. Manufactured in compliance with the preset industry standards, these high functionality machines are vastly acknowledged for their robustness, high durability and efficient performance. These rotary tableting machines are examined for their flawlessness before the final dispatch. With years of industrial experience, we are engaged in offering a wide range of Single Side Rotary Tableting Machines. 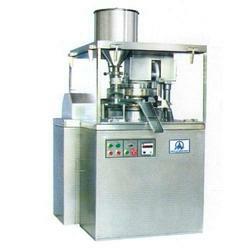 Our offered machine is fabricated using best quality raw material and technology. These are valued in the industry due to their performance and durability. 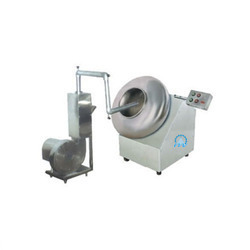 We are one of the leading manufacturers, exporters and suppliers of a broad collection of Tablet Press Coating Equipment. For the fabrication purpose of these, we have utilized cutting edge technologies and used best quality factor inputs as per the defined quality norms. Moreover, these are valued in the market due to their quality and durability. 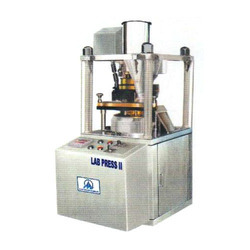 Lab Press I & Multi Tooling Machine offered by us is manufactured in compliance with the preset industry guidelines. Made available in multiple specifications, these efficient machines are widely known for their efficient performance, tough construction, longer operational life and low maintenance. We provide tamper proof packaging of this range to prevent any abrasions caused during transportation. We are leading manudacturer and exporter for tableting machine . 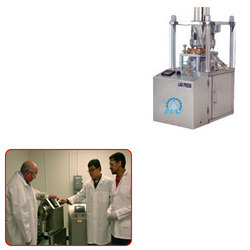 We have also lab tablet press for college and r & D Lab Purpose. 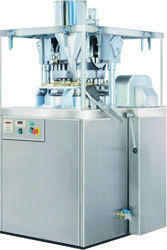 We have variety of model for lab Tablet Press Tableting Machine. We are engaged in offering a wide range of Double Side Rotary Tableting Machine. Offered products are precisely manufactured using optimum grade raw material and parts, which are sourced from eminent vendors of the industry. Moreover, our clients can avail these at leading market prices. Main Electric Motor 5HP/1440 RPM/3PH 3 HP / 1440 RPM / 3 Ph.